Kingston Lacy, a National Trust property near Wimborne, is famous for one of the best snowdrop displays in Dorset. 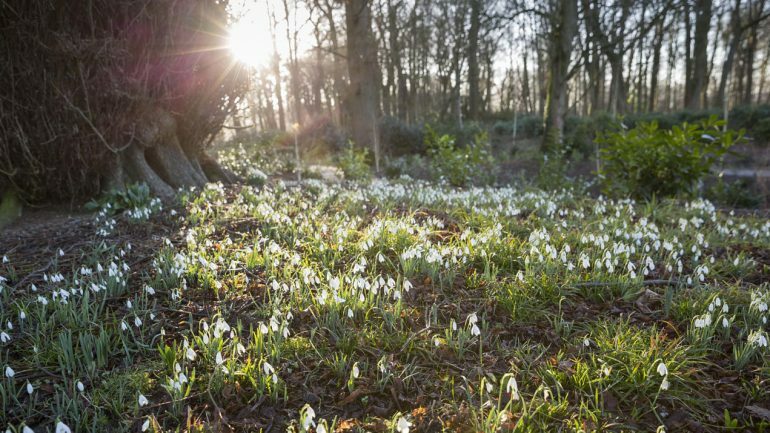 The snowdrop walk stretches through the 40-acre garden for 1.5 miles and is at its best throughout early February. One of the best displays of snowdrops can be seen nestled between the sleeping tree ferns in the Victorian Fernery where the bright white droplets sprout, carpeting the beds around the twisty paths. With fun names like ‘Ding Dong’ and ‘Heffalump’ the Fernery is home to over 35 different varieties. You’ll spot more if you continue further down the Lime Avenue and on to Lady’s Walk, where Henrietta Bankes, a passionate horticulturalist, first had her gardener plant snowdrops in the early 1900s. The Japanese garden is also a great place for snowdrops as they carpet the banks either side of the path, contrasting with the bamboo. 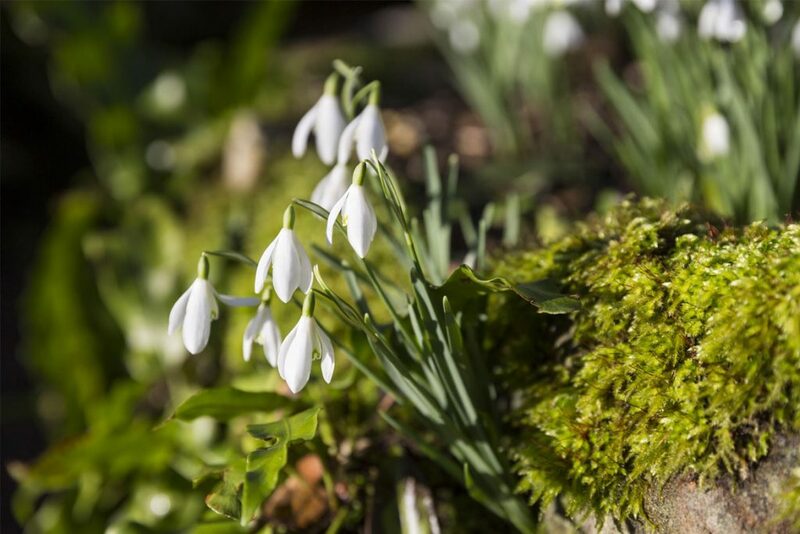 As one of the first bulbs to flower in the gardening calendar, the snowdrop is an annual harbinger of spring. During the spring months visitors will also be able to see the colourful hyacinths and spring bedding displays coming to life in the newly restored Parterre, an important part of the formal garden that sits to the east of the house. The gardens are open daily from 10am – 4pm. For full details on the garden at Kingston Lacy head to www.nationaltrust.org.uk/kingston-lacy.